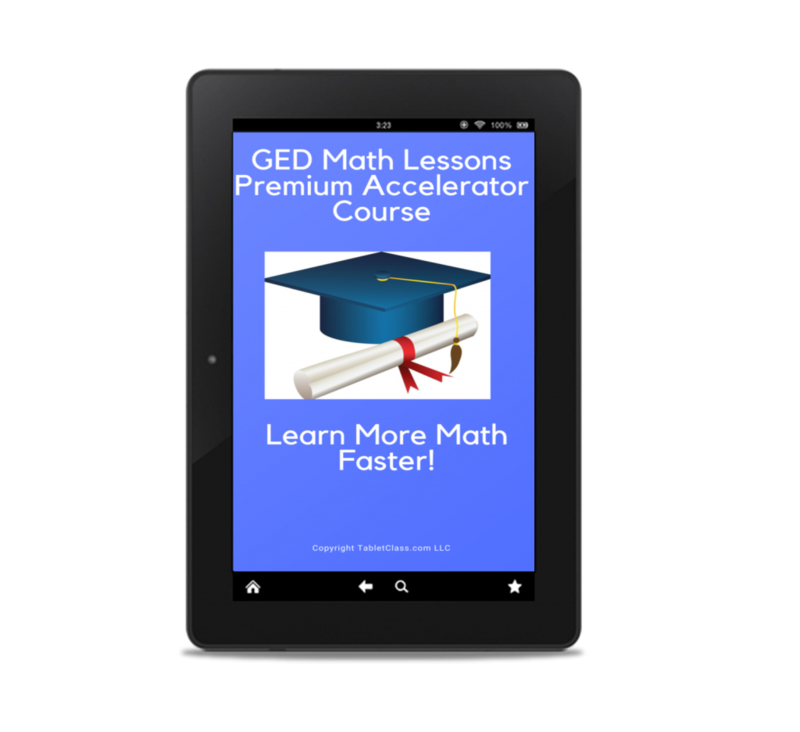 FREE GED Math Course Get Started Now! GEDmathlessons.com is a free full math course that is specifically designed to review basic high school math skills needed for the GED exam. Moreover, this course is updated for the 2014 GED exam math requirements. Now if you are taking the HiSET or TASC tests this free course will also help you greatly as well! 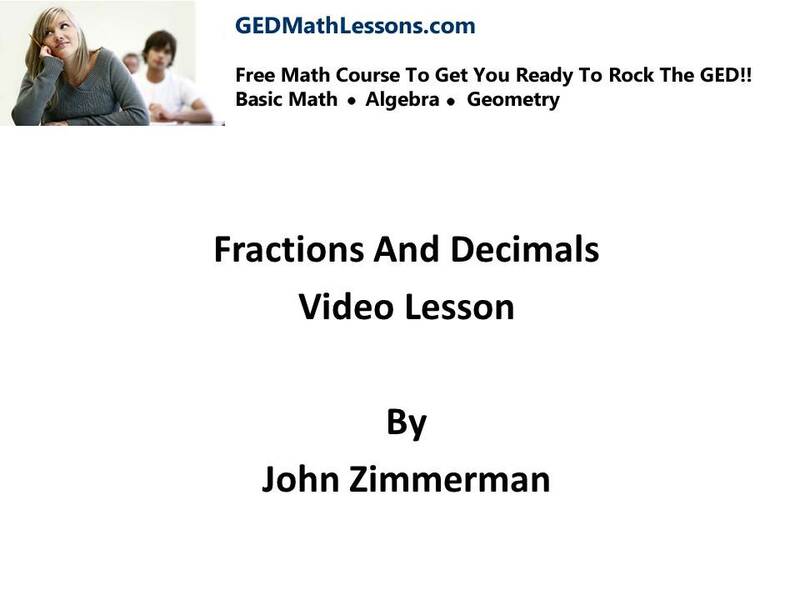 All the instruction is done by myself John Zimmerman an experienced middle and high school math teacher. This course is designed to build up your basic math skills so you need to practice the lessons I teach! I also suggest you get a GED Exam Book so you can take practice tests and get used to the GED question format. 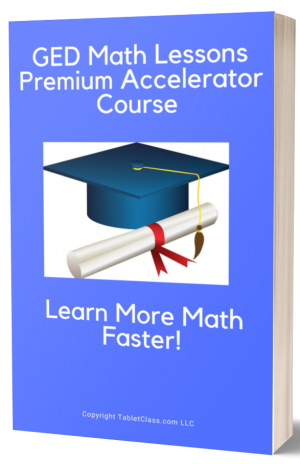 Pass The GED FASTER- Check Out My GED Math Lessons Premium Accelerator Course! The lessons on my site are clear and easy to understand so don’t worry if you struggle in math- I’ll get you prepared. For the best results it’s important that you watch the lessons in order. Lastly you will see a lot of additional material that can accelerate and help super charge your learning for faster results so make sure to read over everything. Let’s get started on accomplishing your goal of passing the GED- YOU CAN DO THIS! Ready? Let’s Start With Chapter 1: Fractions and Decimals. This chapter reviews how to work with fractions. Although it is assumed students posses these skills, time is taken to ensure the student has mastered the procedures to perform operations involving fractions. everyone can learn and master math if you have the right teacher….